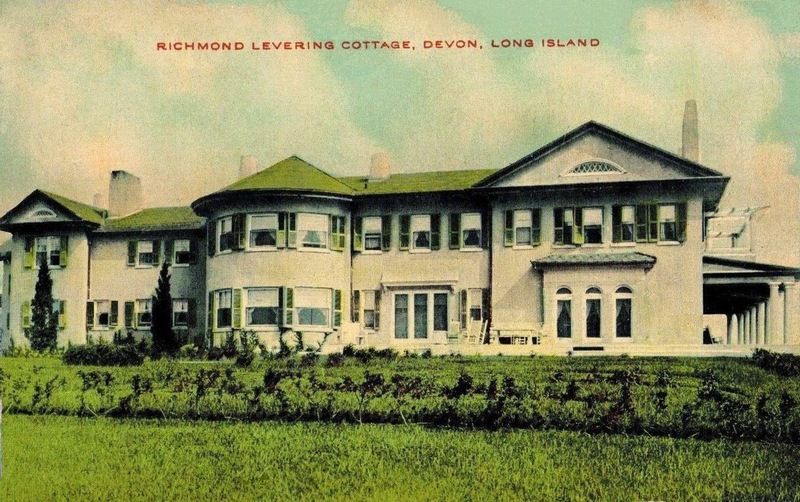 'Devon', the Richmond Levering residence built c. 1908 in Amagansett. Levering was president of Richmond Levering & Co., promoters and developers of oil interests. He died of pneumonia in 1920 at the age of 39, having by then amassed a fortune in the development of oil fields in Illinois, Texas and Mexico. Click HERE to see the Levering residence on bing. That's quite the spread for a 28 year old. Anyone know who lives there now? It looks to be very well maintained (though it could use some landscaping around the house itself IMO).